I have taken the long road to full-time art, with the scenic route winding through the vistas of science, spiritual studies, and psychology. I am interested in ancient Goddess art and symbolism, the Divine Feminine spirituality, ecology and the natural sciences, prehistoric cultural expression, and the human unconscious. My painting path is informed and inspired by this journey. My work circles among images of women and men, imaginary landscapes, and what I call my rock visions, which resemble cave paintings. As a former psychotherapist, I speak through my art in the language of metaphor, symbol, and archetype. I paint an inner landscape. While not explicitly religious, I seek to convey a feeling of sacredness and connectedness. Each painting tells a story, perhaps my story or your, or perhaps a story of human experience. Sometimes I begin with the story in mind, but more often it emerges as part of the creation process. my goal is to begin a conversation with the viewer about the nature of making meaning. 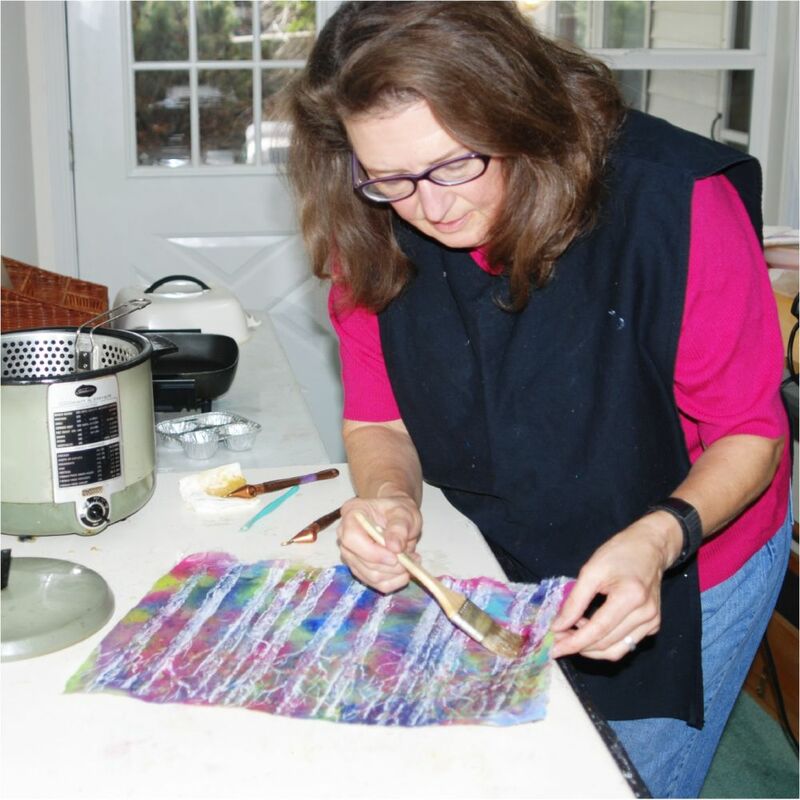 I have been inspired beyond measure by the artists of Batik Convergence, Sue Orlaske, Linda Peterson, and Jan Clark. These wonderful BatCons provide constructive critiques, invaluable support, and wild and wacky ideas! They give me that extra little push to create, to try something new, to stretch in new directions. 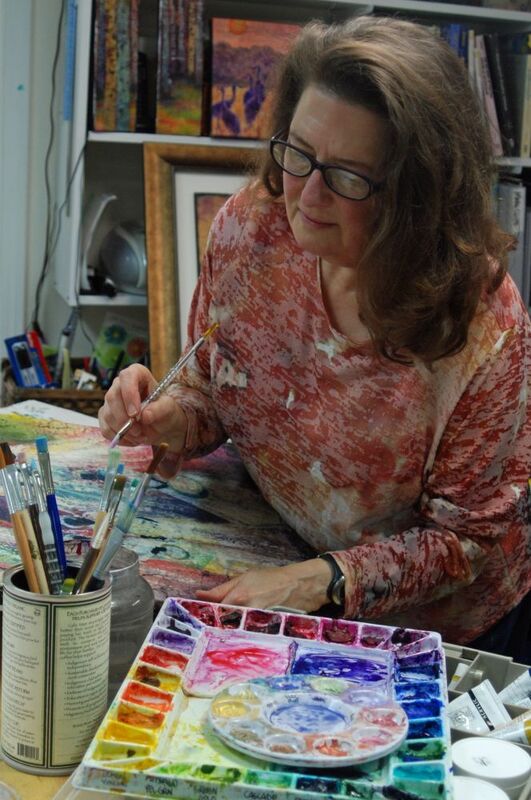 The unique process I use was developed by artist Eunice Cottrell Brandt. Watercolor or gouache is painted on a Nepalese handmade paper made from the daphne plant. A specific blend of beeswax and paraffin acts as a resist and provides visual texture, while enhancing the depth and intensity of the colors. An ink wash follows the waxing process to achieve the batik crackle effect. The process is lengthy and intricate. The irregular edges, brushed ink strokes and crackling, and distinctive color shadings are characteristic of batik watercolor.